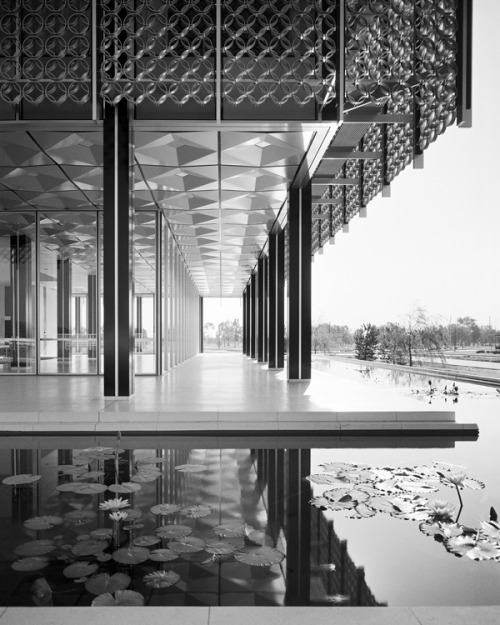 For several months I have been planning to write about modern architectural photography, given the strange coincidence of new monographs on two mid-century greats, Balthazar Korab and Ezra Stoller. Sadly, this post is in memorium for them both. Stoller died in 2004; Korab passed away last week at the age of 86 in Troy, MI. Both were indefatigable chroniclers of American modernism. 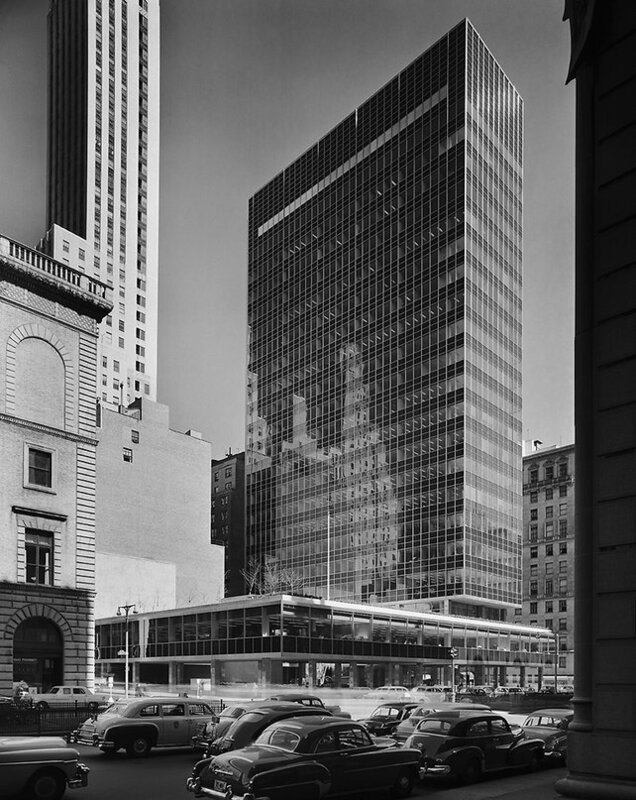 Stoller was the better known, author of the canonical images of much East Coast architecture, particularly the sharp-edged and glassy corporate towers. But Korab was a loyalist, and as such his work has an intimacy Stoller's lacks, documenting process as well as perfectly polished product. The covers of the two books show their difference in a nutshell. Both use images of Eero Saarinen's TWA Terminal (1962), perhaps the era's most photogenic building. Stoller's image shows people on the move, the interior of the terminal a collage of light and dark, the stairs and ramps backlit by great oval windows. The building is as much void as it is solid. Korab, by contrast, shows a moment of repose, a traveler in the background with hip cocked against a counter. The foreground is filled with one of Saarinen's exquisite tiled curves, accentuated by a gradient of light and shadow. In places you can hardly see the lighted tile, in others they fade into shadow. 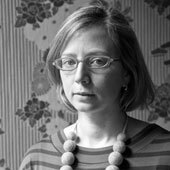 But one is weill aware of the physicality of that curve, and the way it was made. The edge is not sharp but looks nibbled by thousands of regular teeth. Korab took photographs throughout the process of building TWA, a number of which are reproduced in the book. One can speculate about the cover image: would he have highlighted that curve, and its cloak of tile, had he not been there as they modeled, shaped, and smoothed the concrete? A project portfolio by Korab in the January 1958 issue of Architectural Forum introduced the bird in flight to the architectural public. For me, it is another Korab image of a Saarinen building that shows his deep understanding of the work. 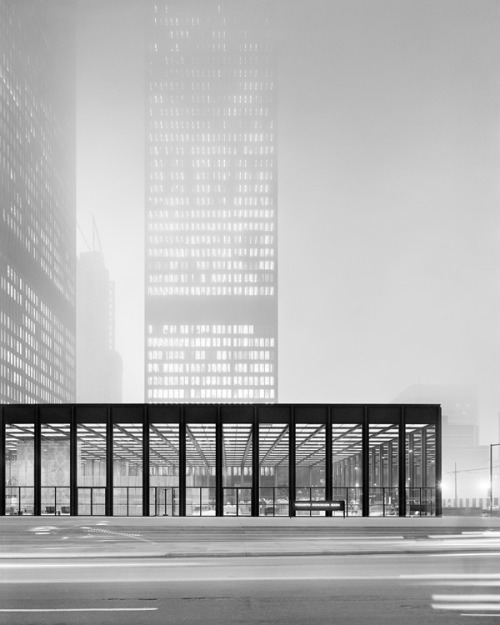 It is of the Deere & Co. Headquarters (1964), shot across the slope into which the display pavilion is cut. Instead of seeing the tractors inside, you see the wavy reflection of the grass and the trees behind, the Cor-Ten columns starting to blur and blend into the real trunks. Long before Saarinen could be revived and reinterpreted, Korab was interpeting, seeing Saarinen's intention and shooting it. Mark Lamster has already written about the Stoller monograph here. I agree it is both excellent and overdue, and that the industrial photographs are one of the book's revelations. You can see those images, along with a broad selection of Stoller's other work in person at the Yossi Milo Gallery in New York from January 24 through March 2. I saw hundreds of Stoller photographs in books, period magazines, and at the ESTO archive during my dissertation research, but I've only once seen them in a gallery. In person they are rather smaller than you imagine, about the size of an art book, but so crystalline you have to draw close. I still wish I had bought his 1949 image of a Miami parking garage (seen in this New York Times Magazine slideshow) when I had the chance. The garage's simplicity, the period automobiles, the horizontal lines and big sky, set a mood. To have a Stoller image of my favorite building in New York City, Lever House, seems like too much, too obvious. But all that technique in the service of the garage makes me smile. this is great, but instead of concentrating on the differences between korab and stoller, i would instead note the similarity in vision. they both favored the dramatic, frontal, sculptural, high contrast shot. i think you could throw bill hedrich and norman mcgrath into this school, and maybe also g.e. kidder smith. this was a masculine american style--compare their work to, say, binet or futigawa or herve --and though there are subtle differences, there is more that unites than divides. as for stoller, i would argue that he also showed twa and other buildings "in repose," to use your term, but this might be a matter of subjectivity.